Unless you like taking cold showers or boiling your water to heat it, you’ll need a hot water heater near Jacksonville if you want to live comfortably. The right water heater installation will be an efficient addition to your household that offers enough hot water without taking up too much space. You will also want to choose a model that is known to last for a long time so you don’t have to worry about replacing it in the near future. If your unit has broken or it’s almost time to make an upgrade, read on to find out how to choose a new water heater. Today’s homes are all about automation and efficiency; they can do more than ever, and manufacturers are constantly finding ways to make it as cheap as possible to do so. This is evident when you take a look at the advantages that a tankless water heater can offer, especially when it comes to energy efficiency. Traditional water heaters are not very efficient because they lose a great deal of energy to heat loss. This is because the heater is constantly working to heat water that might not be needed yet. Tankless water heaters are not susceptible to this standby heat loss, and thus they can pay for themselves in savings over time. If you’re going the conventional route, you’ll need to think about how much hot water your family uses when choosing a hot water heater. The higher the water demand, the bigger and more powerful the heater you’ll need, with one exception: the tankless water heater. Since this type of hot water heater doesn’t use a tank, you don’t need to find a large space for it in your home. Some can even be stored under cabinets and used with certain appliances. Choosing a new hot water heater is probably not something you’ll want to do on a regular basis, so think your decision through. More efficient models tend to work less intensely, meaning they can last longer. You should also be sure to maintain your heater. Whether you’re considering what types of tools you should have around the house or thinking about becoming a plumber serving Jacksonville yourself, a good place to start is with the tools that get the job done. Many of them will look familiar, and you might already have some of them in your household. See this video clip for a look at common plumbing tools. When you think about plumbing tools, a plunger might be the first piece of equipment that comes to mind. Depending on the nature of the clog and the type of drain that has the obstruction, a toilet plunger or a sink plunger might do the trick. An auger is another tool that can be used to fix clogged drains, and it might be a more viable choice for tougher clogs. Your plumber will also use wrenches, screwdrivers, and other common tools when working on your water heater or toilet. When you undergo a kitchen remodel in Jacksonville , you can make your kitchen more functional and comfortable, and increase the resale value of your home. 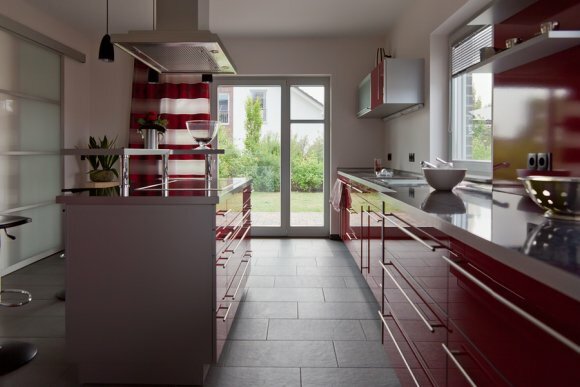 An experienced kitchen remodeler can help you determine what the best kitchen remodel choices are to improve the aesthetics and value of your home. A kitchen remodel is the perfect opportunity to have your plumber install appliances that are more energy-efficient. Low-flow kitchen faucets, eco-friendly tankless water heaters, and energy-efficient refrigerators, dishwashers, and garbage disposals can make your home greener and lower your water bills. Your kitchen remodeler can also come up with useful, creative ways to create more storage in your kitchen. This might include adding kitchen shelving, upgrading to custom kitchen cabinetry, installing a kitchen island, or incorporating a hanging pot rack. If your windows are old, worn, or damaged, you may be losing hot and cold air from your home’s heating and cooling systems. This forces the systems to work harder and longer to keep your home at a comfortable temperature, increasing your energy bills. Eco-friendly windows prevent cold and heat transference, allow your heating and cooling systems to work more efficiently and effectively. If you are interested in heating your water in a way that is both efficient and effective, you might want to consider investing in a hybrid water heater . This can be a great addition to your bathroom next time you undergo a bathroom remodel near Jacksonville. This type of water heater uses heat pump technology as well as resistance elements to make your household more efficient, which benefits the environment as well as your bank account. Feel free to keep reading as we shine the spotlight on hybrid water heaters. A hybrid hot water heater is an efficient way to heat your household, and it does so using heat pump technology. This means that your water heater will take heat out of the air in order to heat your water. It’s important to realize that certain environments are more conducive to this type of heating than others, so you should think about your local climate before you choose a hybrid water heater. Even if the heat pump technology is not suitable for your area, resistance elements allow hybrid water heaters to keep your water warm nonetheless. 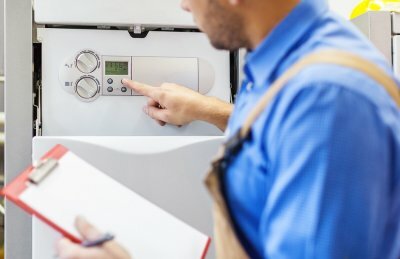 People who don’t live in the right climate for heat pump technology to be effective might not be completely out of luck when it comes to hybrid hot water heaters. These types of heaters also have resistance elements that allow them to heat up your water even when there is not enough hot air to borrow from the surrounding environment. In some cases the heat pump might not be able to provide as much hot water as you need, which presents another situation where resistance elements can save the day. One of the primary reasons people consider hybrid hot water heaters for their homes is the energy efficiency that it can provide for the household. 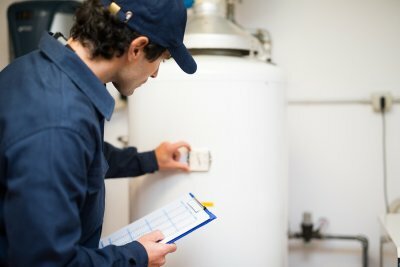 Although these types of hot water heaters tend to be more expensive than alternative units, you can make up the extra cost in savings over time. If you want the most efficient household possible, consider looking into hybrid hot water heaters. Professional Jacksonville Plumbing Service. Eagerton Plumbing. © 2018 All Rights Reserved.